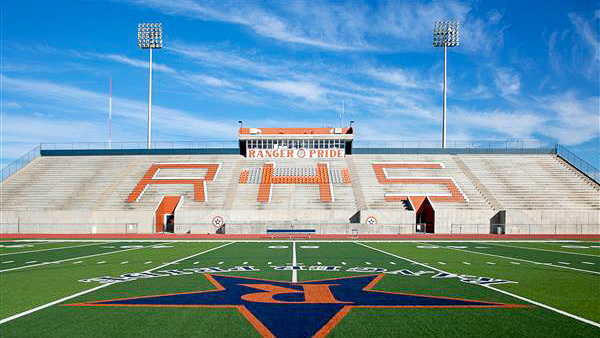 The stadium is named for its proximity to the Rio Grande. This stadium is one sided stadium. Bleachers are the opposite of the stadium for the bands, and has room for additional bleachers behind the end zones for the big games.